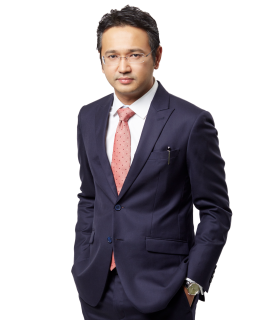 Darshendev’s primary area of practice is commercial dispute resolution with a focus on disputes relating to construction, engineering, oil & gas, and infrastructure projects. 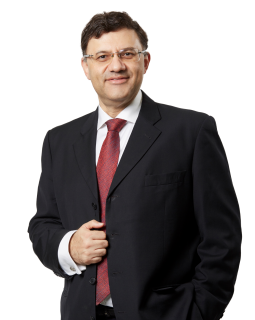 Besides being a registered arbitrator with the Asian International Arbitration Centre (AIAC) and Bangalore International Mediation, Arbitration & Conciliation Centre (BIMACC), he also regularly sits as an adjudicator in disputes brought under the Construction Industry Payment and Adjudication Act 2012 and represents clients in adjudication, litigation and arbitration. He has been involved in numerous international and domestic arbitrations conducted pursuant to the rules of arbitration maintained by, among others, the Asian International Arbitration Centre (AIAC), the United Nations Commission on International Trade Law (UNCITRAL), the International Chamber of Commerce (ICC), the Singapore International Arbitration Centre (SIAC) and the Malaysian Institute of Architects (or Pertubuhan Akitek Malaysia [PAM]). Darshendev was recently recommended in The Legal 500 Asia Pacific 2019 ranking. Disputes arising out of the failure of reclamation works. Disputes arising out of the construction of petrochemical facilities in Sudan. Disputes arising out of alleged defective timber products. Disputes arising out of building projects. Disputes arising out of the destruction of petroleum shore tank facilities. Disputes arising out of the construction of a methanol petrochemical plant. Disputes arising out of power purchase agreements. Disputes arising out of the supply of telecommunication systems. Disputes arising out of fire insurance policies. Disputes arising out of the construction of transmission lines. Disputes arising out of the construction of a coal-fired power plant. Disputes arising out of concession agreements related to KLIA. Disputes arising out of an engineering, procurement, construction, and commissioning contract for a gas compression system. Disputes arising from the expansion of the KL Monorail fleet. Disputes arising from the fabrication and installation of a heating, ventilation and air conditioning (HVAC) system. Disputes relating to the construction of a hangar. Disputes relating to the construction of a biopharmaceutical plant. Disputes relating to the supply of Crude Palm Oil.